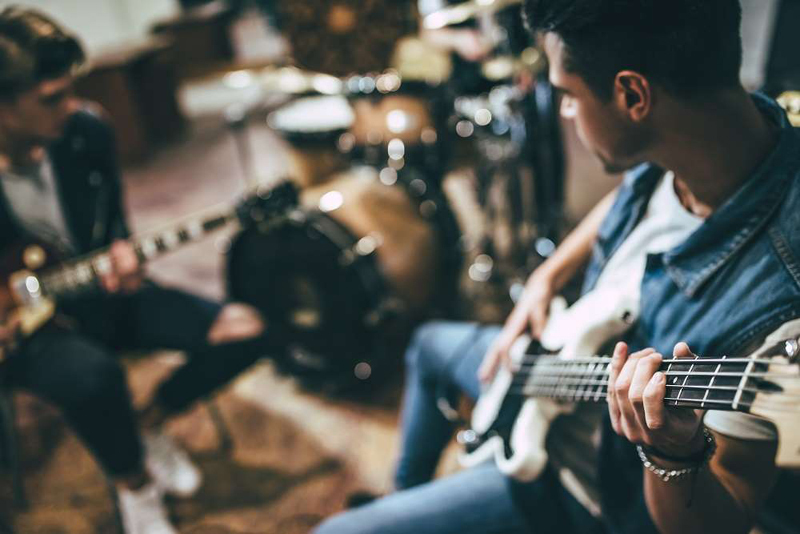 The parallels of being an entrepreneur and playing in a band may not seem obvious, but the two actually have quite a lot in common. I have been playing in bands off and on for more than 25 years, or about as long as I have been in the business world. Though the parallels of being an entrepreneur and playing in a band may not seem obvious, believe me, the two have a lot in common. Some bands I played in lasted years. Others never made it past the first rehearsal. Looking back, I realize now the years I spent playing guitar in various bands taught me a lot about leadership and teamwork. Think about your favorite band. The best ones featured band members who were all on the same page musically, they understood their roles, they worked well as a team, and they knew how to push each other to develop their talents. In order for a band to succeed, several important things must come into play (pun intended). A band must know what kind of music they want to play. They need a common set of musical influences. They have to decide on the image to portray: their brand. And they have to agree on who the band leader is. There are great lessons to be learned here about vision and leadership. In business, you have to know exactly who you are, where you want to go, and who’s going to lead the charge. In a band, there can be only one band leader. It’s the person who’s accountable for staying true to the band’s vision—just like a CEO. A band clearly knows what songs and musical styles they are capable of playing, as well as the strengths and weaknesses of each member. It makes no sense for a band to choose songs that the group isn’t either comfortable with or capable of playing—it never works. Companies are no different. How many companies have you tried to do business with where the product or service didn’t meet your expectations because they were working outside their wheelhouse? Now think about how many bands you have walked out on during a show (or quit listening to their music on the radio or Apple Music/Spotify) because they just were not meeting your musical tastes or standards. There is a parallel here. Great bands know how to market their brand and music. They understand the lifestyles and demographics of their fan base. Successful entrepreneurs and business owners learn early on that offering a great product is only part of the battle. Having repeat clients and word of mouth can be the difference between good and great. As a lead guitarist, this is tough for me to admit, but the drummer is the most important member of the band. He or she is the glue that holds a band together on stage. The drummer’s job is to keep time, establish the rhythm, and keep everyone on the same page for every song. A great drummer will have an immediate positive impact on the band, and a bad drummer will tear it apart. Trust me on this. Every business and team needs a drummer. As a business coach, I encourage companies to follow the Rockefeller Habits for success; habit #3 states, “Communication rhythm is established and information moves through the organization accurately and quickly.” There is a tempo and synchronization that must happen around communication in order for every company to succeed. Great company “drummers” know how to work with different personalities to ensure high performance and create a great energy among the team. All the players in a band must be given space to play their individual parts. Many times that means someone needs to sit out for a bit. Think about it. When you listen to a great band, you will notice that not everyone is playing at the same time during the entire song. Space is important because it helps to create a mood for the song and tell a story. More importantly, if the song is a wall of noise, listeners will tune out—their ears can take only so much. There is no difference in a company. Not every team member can be in the spotlight at all times or offer opinions one after the other—they’ll get tuned out. In effective teams, members have to pick their spots to shine when the time is right. It’s the same when you’re interacting with clients, they want you to listen to them. Make those conversations interactive and dynamic, and your clients—and team members—will listen to you with much more intention. I have found in my experience as an entrepreneur and business coach that inspiration and motivation come from all directions. Next time you’re stuck, reflect on how your favorite band succeeded. There might be a lesson or two that can guide you to your next success. Now, I have to get to band practice.